Dr. Claire Higgins was appointed as a Lecturer in the Department of Bioengineering in April 2014. 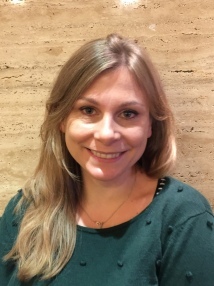 She joined Imperial after postdoctoral training in the laboratory of Prof. Angela Christiano, in the Department of Dermatology, at Columbia University in New York. At Columbia she received a Career Development Award from the Dermatology Foundation to research the ‘Molecular basis of human hair follicle induction’. Claire obtained a Ph.D. in Skin Developmental Biology from Durham University in 2007, and holds a B.Sc. in Natural Sciences. The main focus of the research group is to understand mechanisms of tissue development, and regeneration, both in normal conditions, and in response to disease or injury. The hair follicle is used as a model, as it is an accessible and elegant system to study organ regeneration. Research into developmental, and regenerative processes means we can try and recreate them in a lab setting, and exploit the inherent properties of interacting cells to engineer new tissues and structures. Hair follicles contain specialised cells located in a small mesenchymal compartment at the base of the follicle, termed the dermal papilla. Interaction between the dermal papilla and the bulge (the epithelial stem cell compartment of the follicle), drives the hair follicle cycle. Work in the lab encompasses understanding how these cells acquire their specialised ability to instruct hair growth, in addition to elucidating the role of these cells in response to traumatic injury, and their behaviour during skin repair. Claire’s research publications can be found on Google Scholar. Professor Sharpe is a leading Developmental Biologist. Following postdocs in Sheffield, Wisconsin and Cambridge Prof. Sharpe became lecturer in molecular embryology at the University of Manchester in 1987 where he established a research group working on the molecular control of tooth development. He moved to his his present Chair at the Dental Institute of Guy’s Hospital (later to merge with Kings College), in 1991 where he established a new basic research department, the Department of Craniofacial Development. The department, of which he remains head, now consists of 14 academic research groups with over 70 research staff. In 2002, he became Director of Research for the Dental Institute and head of a new academic grouping of craniofacial development, orthodontics and microbiology. He has published over 180 research papers and supervised over 30 PhD students.His basic research work continues to explore the genetic interactions that control tooth development. There are many parallels between the development of teeth and hair and his experience in the understanding of the cellular and molecular processes involved in tooth formation will be of importance to the work at HairClone.